Dreamforce is the largest tech conference in the world. A 96-hour marathon of work and play — with a 170,000-strong melting pot of entrepreneurs, sales professionals, engineers, employees, celebrities, thought leaders and technology aficionados, in a city with a variable climate, and an agenda varied with education, business, and social events. This clearly requires some thought and foresight and we are here to help. 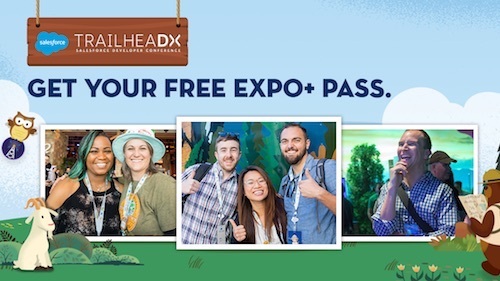 As most past attendees know, you will walk an easy 5 miles a day as you navigate around the Dreamforce campus, Trailhead Zone, break-out sessions and keynotes, parties, the Dreamfest, the Dream Valley, and more. So, what you put on your feet will be key to making it through the week. Keep it simple and classic with a flat or a slide. They are super comfortable and can easily take you from a panel discussion to dinner with just about anything you pack. If you are wearing heels, pack a pair of flats in your bag that you can slip-on between events to protect your feet from fatigue. Sneakers continue to be on trend, so take advantage of them! Pair them with almost anything - jeans, dresses, skirts and even fun cropped trousers. Grab a favorite pair of leather kicks and have fun. Recommendation: Pack 2 pairs of shoes so that you can easily, and comfortably, pair with multiple outfits. Not only does it help keep your suitcase light, it gives you space to bring back some fun swag and Dreamforce t-shirts. Love this look. Basic pieces that are easy to pack, express your individuality and are really comfortable will be key. From head to toe pick pieces you have worn before and feel good. Cool sneakers are on trend and an easy go to for your long days. Recommendation: Opt for a hooded, burgundy or metallic vest for added warmth and a pop of color. Wear it over a soft graphic tee and your go-to sneakers. Have some fun with your sneaker color - think jewel tones. Get details on this look here. It’s San Francisco after all. The weather here is notoriously unpredictable, even in November. It can be warm and sunny all day, then drop 30 degrees at night and maybe even rain. Throw on your favorite hoodie, a classic blazer, sweater, leather jacket or wrap - the key is to be comfortable and professional in all situations. 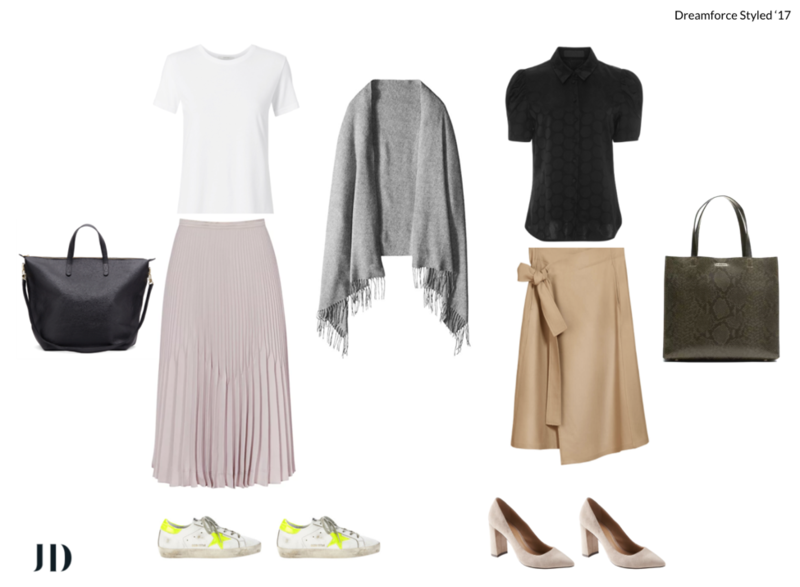 Recommendation: It can be cold inside the large convention halls and breakout rooms, so pack a few light pieces for the day like a cardigan, wrap or scarf. A quick way to warm up yet small enough to throw into your tote or backpack while walking. Love this look. 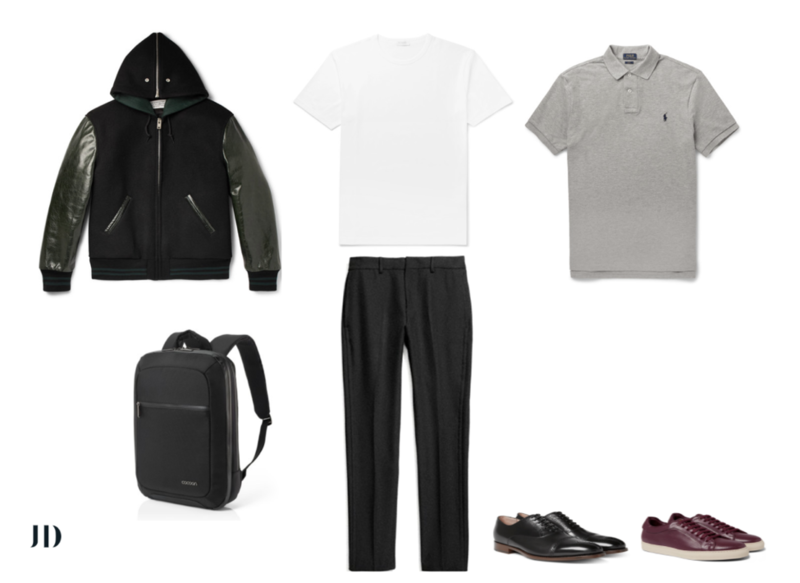 Recommendation: Wear a slim-fit hoodie under your blazer, over a white tee, for an effective layered look that is fun and functional for the daytime. Add your personality with cufflinks like the Pac-Man ones we love - a great pop of color and an easy conversation starter! Get details on this look here. Dreamforce goes all day and well into the night. Being able to transition quickly is essential. You should start with your basics and build around them to create different looks by swapping things out. You’ll pack less and be able to grab and go during your quick hotel room stopover after breakout sessions wrap and dinners and parties are about to start. 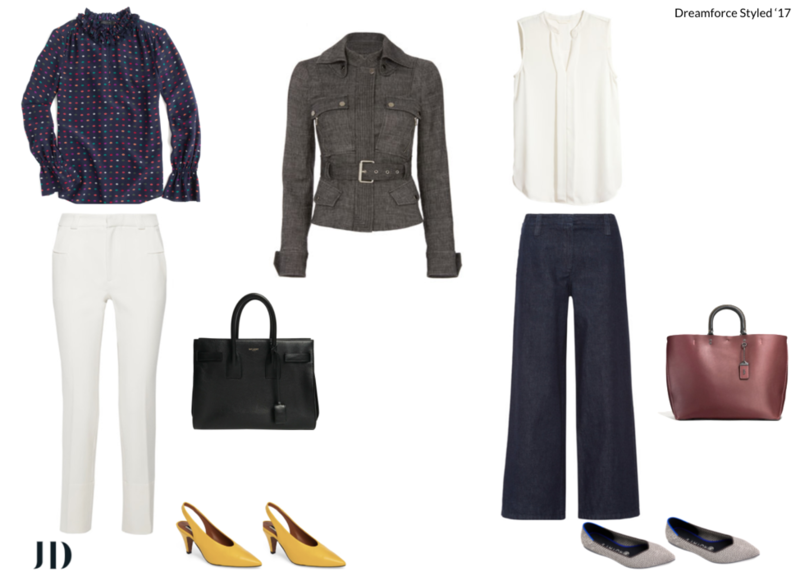 Rock a skirt or denim with a basic blouse all day, then throw on a jacket and switch up your shoes for the evening. 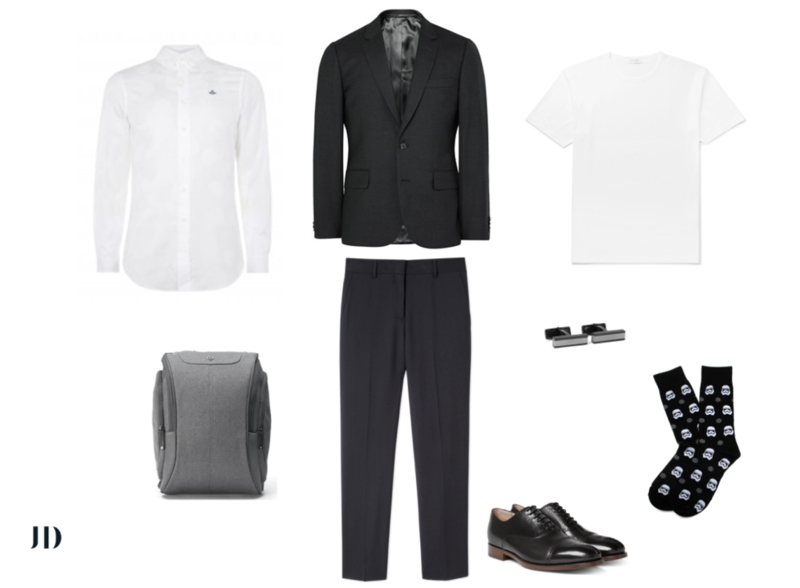 Express your individuality day or night with accessories...think your tie, socks or footwear. Recommendation: One jacket, two looks: You can change up your look without changing every piece. A signature jacket can double up from day to evening. Love this look. Recommendation: Change up your game. Denim with fun flats during the day is a great option, but evening events are a great opportunity to put a fancy foot forward. Love this look. Recommendation: A bomber, flight, or letterman’s jacket can carry you from day to night. 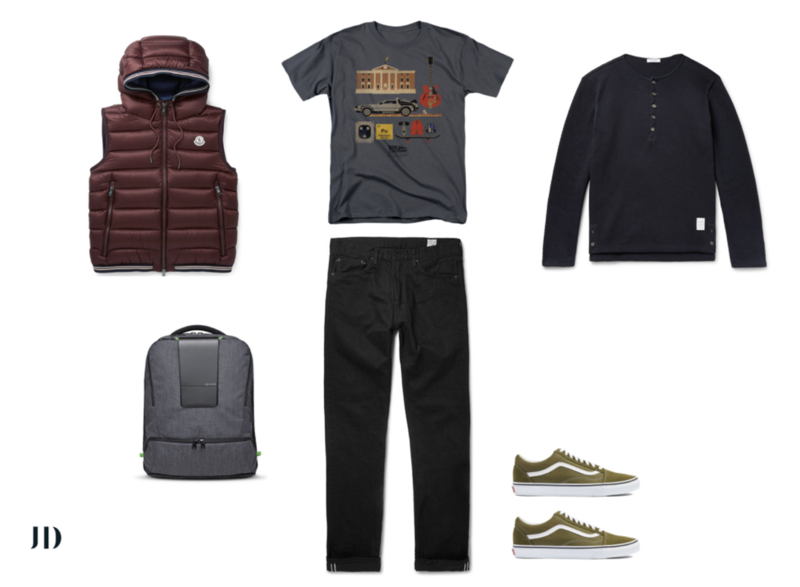 Wear over a classic, white t-shirt, a pop-of-color tee or graphic tee, or a simple polo. 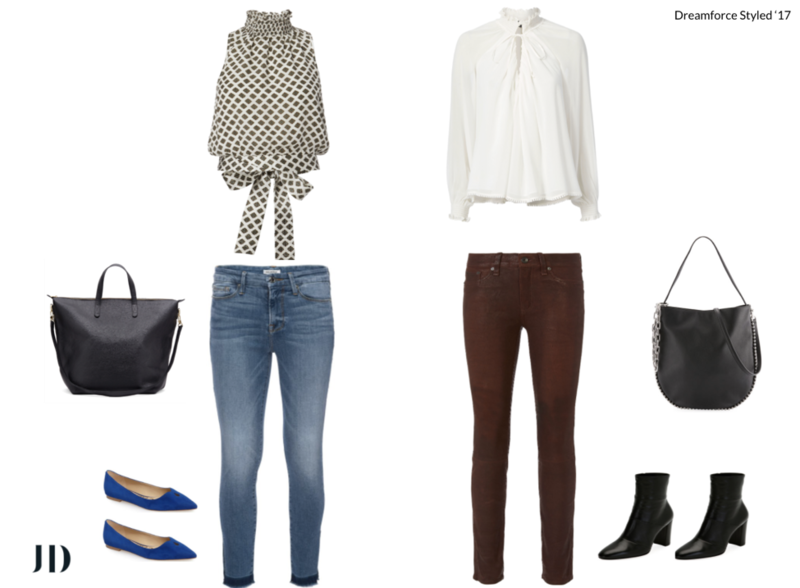 Dress it up with a dress pant and shoe, or down with a dark-wash jeans and sneakers or boots. Get details on this look here. Recommendation: You can never go wrong with a classic suit. Pair it with a basic tee during the day and change it up with a well-fitting shirt that can take you to any dinner meeting or the Dreamfest. Add a pop of color and express yourself with cool graphic socks. Get details on this look here. 4. Wear what makes you confident. 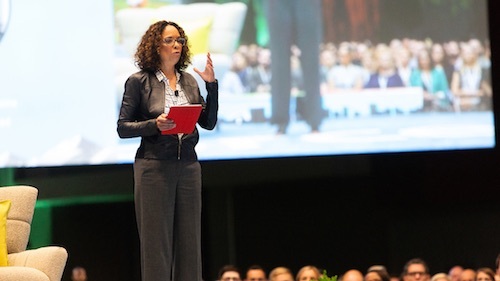 You’re going to Dreamforce to learn, innovate, transform and grow. Build looks, stay true to your sense of style, and embrace and enjoy the largest stage of like-minded professionals in the technology industry. 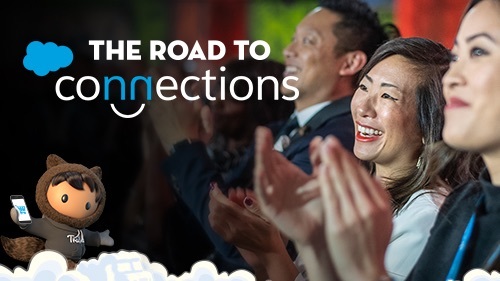 These 96 hours are yours to connect, socialize and network - so dress for the conversations you want to have! One way to do that is to utilize Dreamforce's gender-inclusive badges. 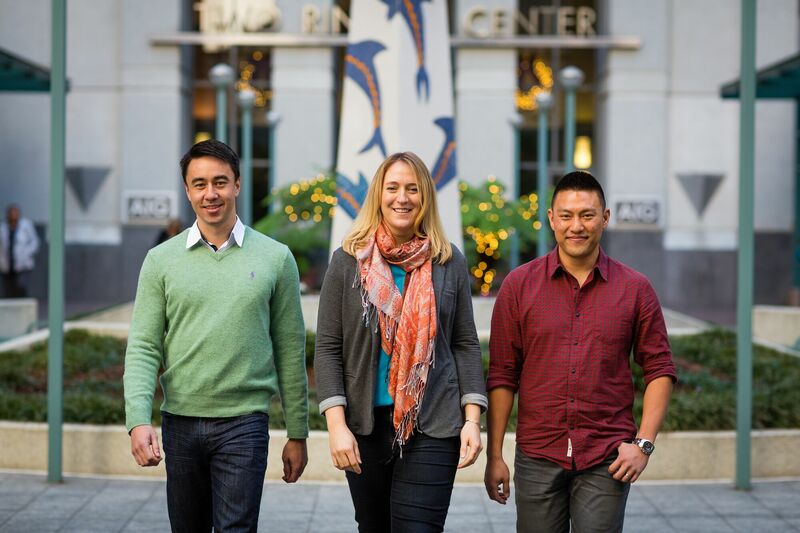 As part of Salesforce's commitment to #EqualityForAll, Dreamforce welcomes Trailblazers of all gender identities. 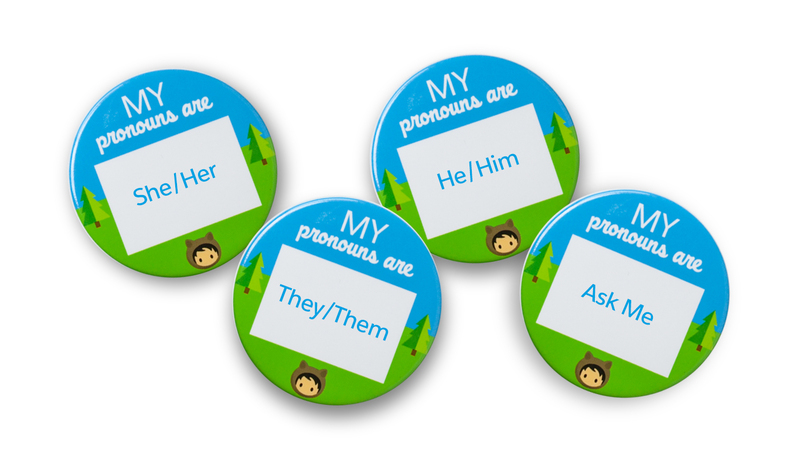 Since their popularity last year, Salesforce is continuing to include buttons during badge pick-up for every attendee which allows them to display their pronouns. Instead of assuming how you prefer to be addressed, and to ease introductions, Salesforce offers gender pronoun stickers for each attendee badge. The stickers, featured on a button, are meant to adhere to the Dreamforce lanyard with options of “he/him” and “she/her” for individuals who identify on the gender binary scale, “they/them” for individuals who may identify as genderfluid or non-binary, and an “ask me” option intended to invite a conversation about the gender spectrum and perhaps where or how the unique individual identifies which may not be included as one of the 3 options selected. 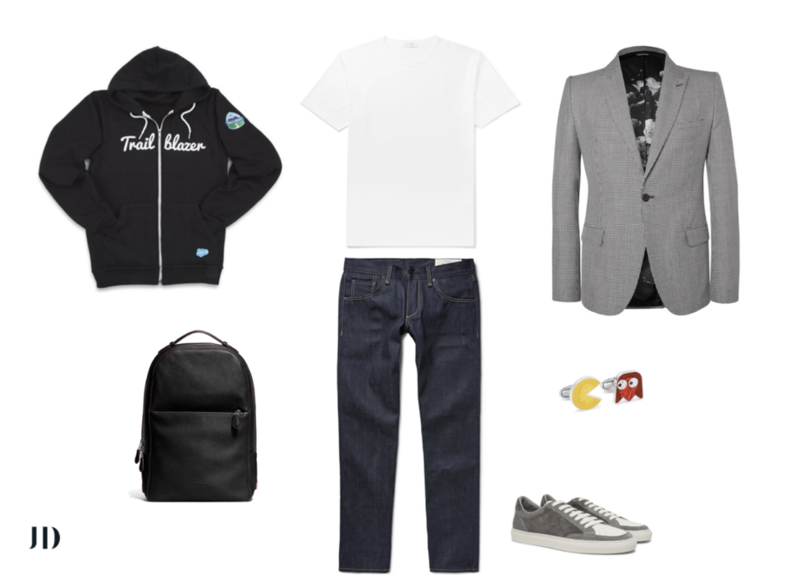 Let this be part of your fashion statement at Dreamforce. Style may be personal, but the reason it's such a labored decision has nothing to do with the clothes. At Janel Dyan, we live by one inviolate fashion rule — don’t forget yourself. Your personal style is your edge, the tip of the iceberg to who you are and how others will see initially see you. This is your brand. Janel Dyan is the Founder & CEO of Janel Dyan, Inc. — a female-founded Bay Area company that provides transformative brand and style consultation to high-visibility clients across industries and social causes.